It's time to get ready for Valentine's Day. 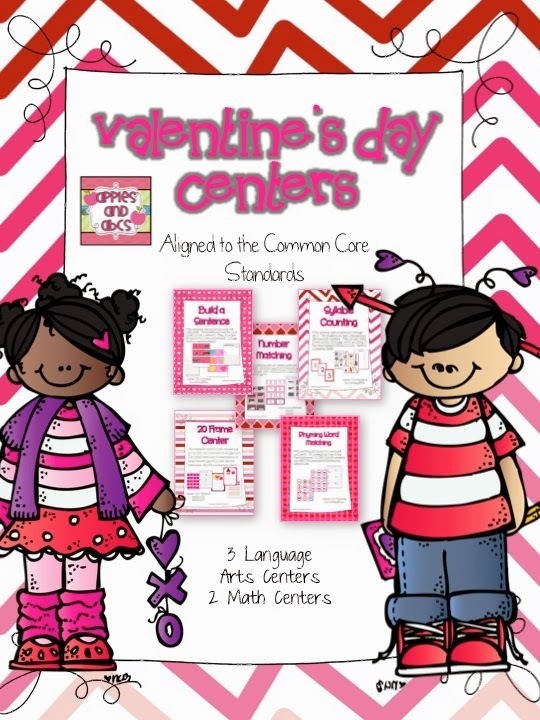 I created a Valentine's Day Center Pack that has 3 Language Arts Centers and 2 Math Centers. 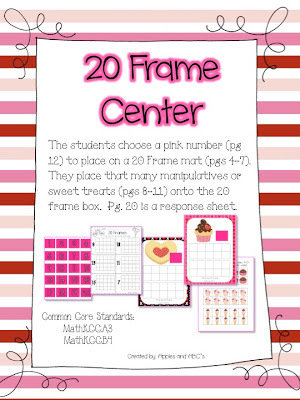 I like to keep centers available for the students that finish early with their work. First, I teach them whole group how to complete the center, then I leave it on the shelf for them to do independently if they finish early with their work. 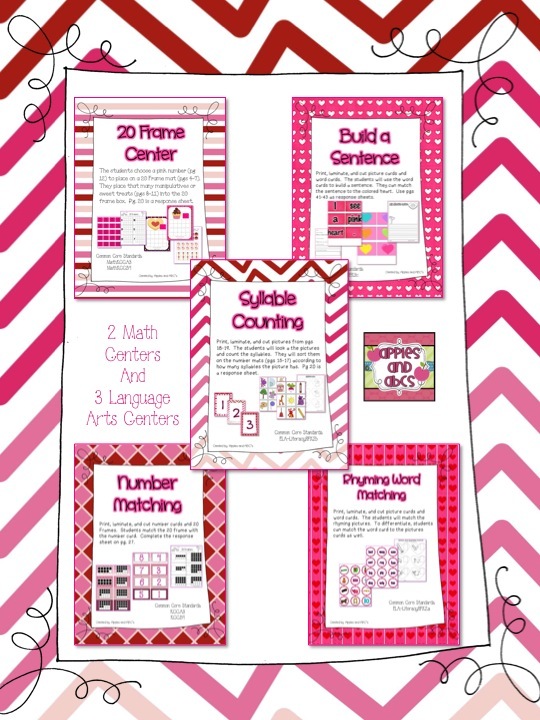 This bundle includes 3 Language Arts Centers and 2 Math Centers. 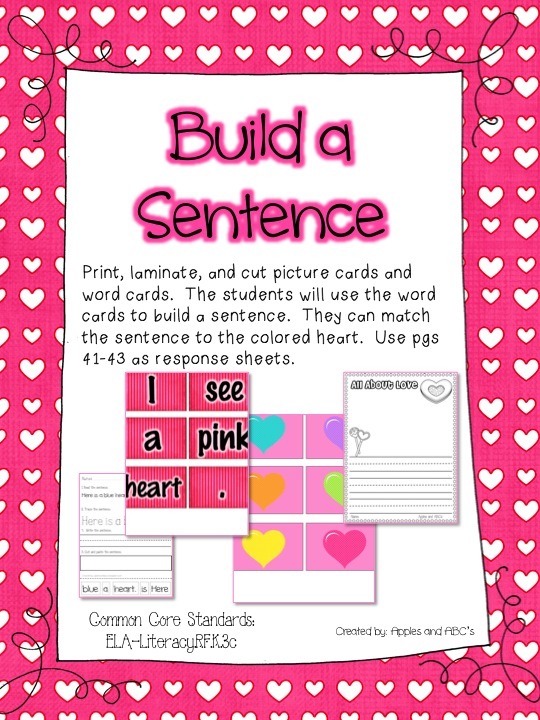 Each center includes a response worksheet for the students to complete. All centers are aligned to the Common Core Standards for Kindergarten. 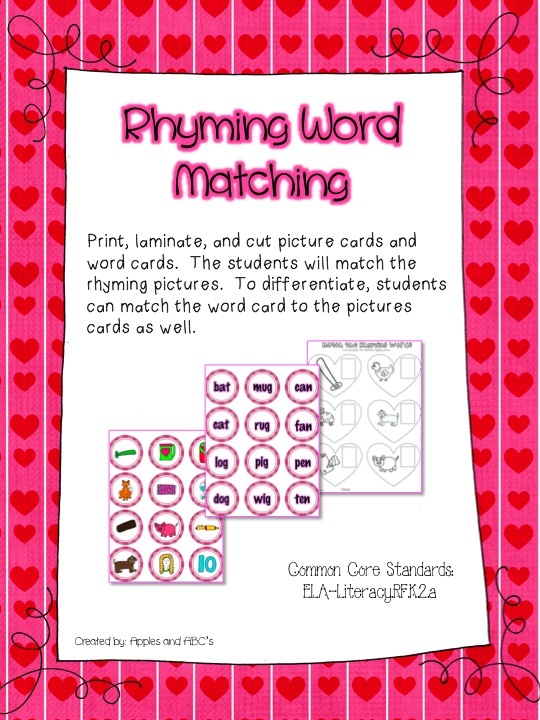 -Rhyming Word Match: Students match picture cards according to the same rhyming words. 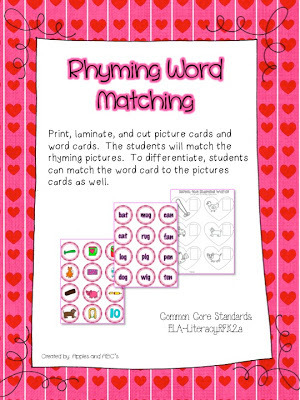 To differentiate, the students can match the picture card to the written word card. 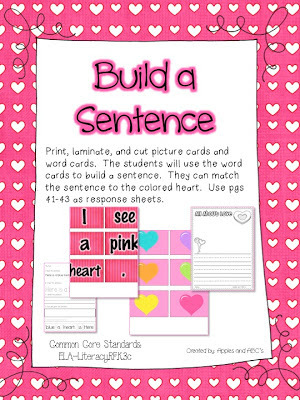 -Build a Sentence: Students build a sentence with the word cards. Example: I see a red heart. 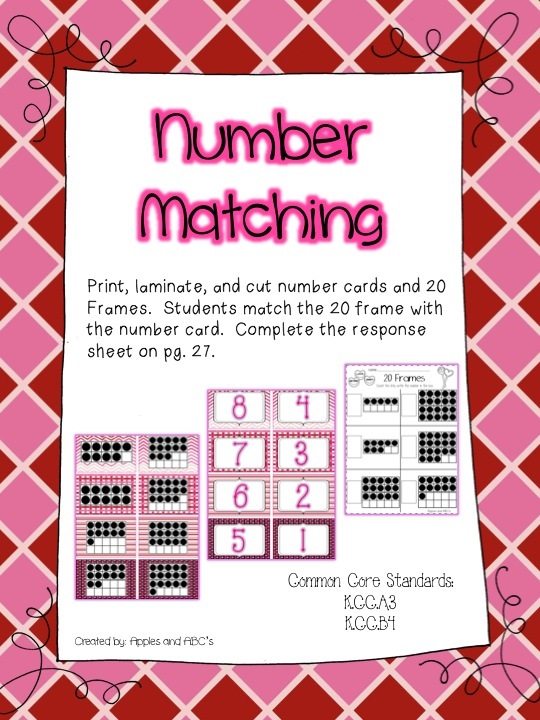 Students place the cards in order and match it to the picture of the red heart. 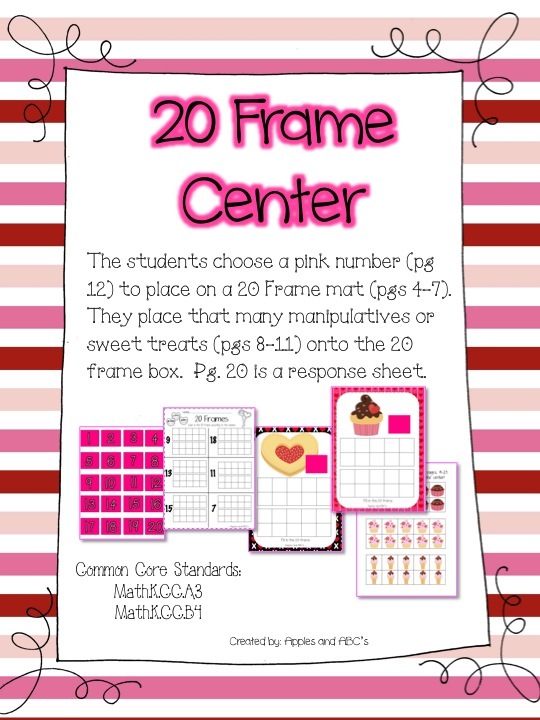 -20 Frame: Students pick a number card and they place that many counters onto the 20 frame. 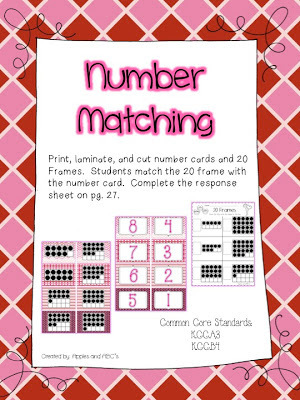 -20 Frame and Number Match: Students match the 20 Frame to the correct number. I hope you enjoy this pack full of "love!" This looks so adorable Michelle. I miss you. We need coffee with Layla who is now my BFF at Muir. It's so cute Michelle. 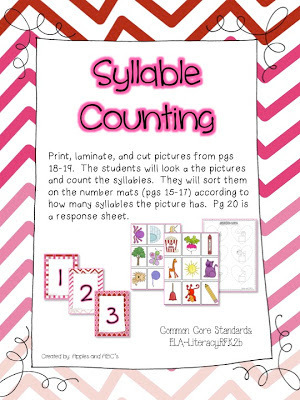 I love the syllable & rhyming sections. While my kids always struggle with rhyming this year they are also struggling with this year. I think it is cause they understood and were great with segmenting so early in the year. We are working on it like mad. Where are the cute heart counters from?